The web based Smart Connect GUI (Graphic User Interface) of WTW Anlagenbau GmbH is the ACU (Antenna Control Unit) solution of the future. 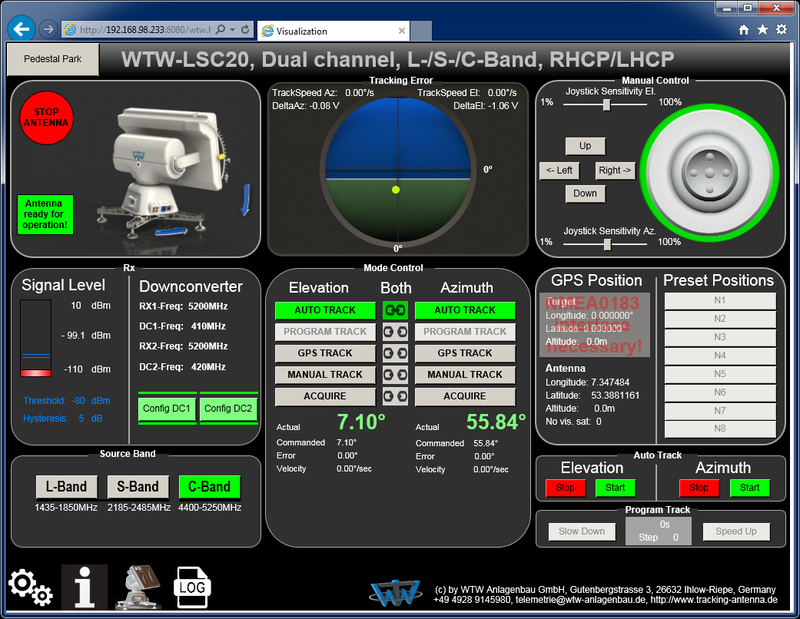 The web based Smart Connect GUI is running inside the Autotracking Antenna. That means you don’t need extra Software and you don’t need the classic ACU. You need only a LAN or WLAN access to control the Antenna through a Browser on a PC, Tablet Computer or a Smartphone. Easy maintenance because you can control the Antenna via Tablet computer or Smartphone to move it in the right position or do some tests directly when you are beside the antenna. Easy control through our virtual joystick.